A student of art from an early age, Ann Coleman did her degree work at Salzburg College, Austria, the Salzburg Art Academy and Skidmore College where she received a BS in Studio Art. 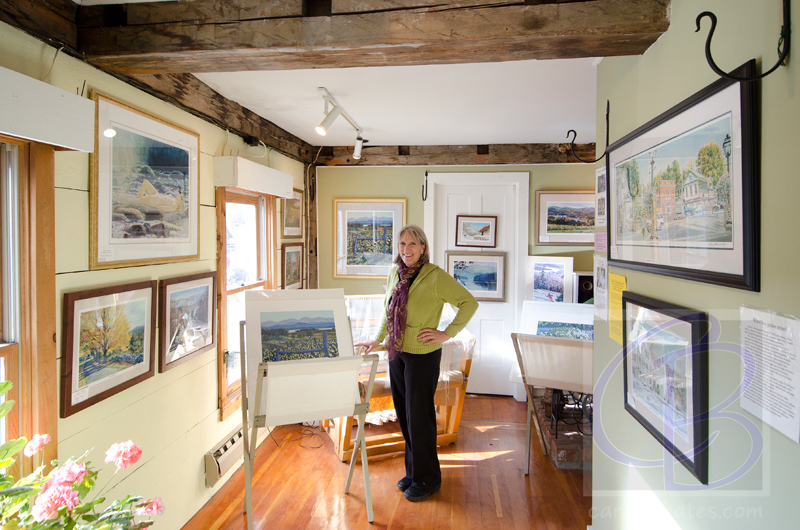 Since that time Ann has focused primarily on watercolors and pastels; her works have been displayed throughout the eastern U.S. A resident of a small community in southern Vermont, Ann indulges in other passions: skiing, sailing and flower gardening, which naturally show up as subjects of her vibrant paintings. Her works include an impressive array of finely detailed portraitures done in watercolor. Ann is always open to discussing new ideas for commissioned works.